The mood was somber. Every Monday morning we take 15 minutes to check in with each other. All of my co-workers gather and we look at the week ahead. 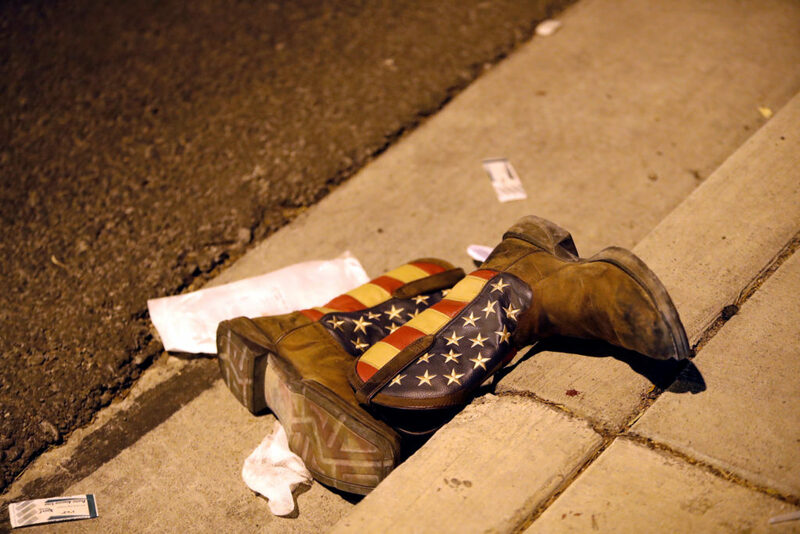 This week we all woke to the horror that happened in Las Vegas Sunday night. Our hearts were heavy and our minds distracted as we felt ourselves lapsing into the “what if” questions that come to the forefront when facing tragedy. One of our paralegals had been in Vegas the weekend prior. All of us have been to an outdoor concert or public event. None of us know whether we, or our families, are safe from the violent acts of the next unknown assailant. It is hard to write during a week when so many emotions are shifting inside of me – competing back and forth between my mind and heart. My mind knows I am safe and I am not grieving the loss of a loved one. My heart aches for the many hundreds who are. I am angry at how this could have happened. I am hopeless that it cannot be stopped. I think of the now longer list of places I never want my children to go without me: movie theaters, malls, department stores, schools (elementary through college), churches, pedestrian boardwalks, and now outdoor events. I need to be there to lay on them in protection, or to drag them to safety, or to push them far away from harm in the event of an attack. I read about people who endured the stampede as they laid over their loved ones. One man was killed while lying over his wife – protecting her. As any parent will tell you, we would do it for our children on instinct. It may not be so instinctual for our adult relationships. I messaged one of my closest and oldest friends. “You would have laid on me.” His reply – “Yep.” I have not stopped thinking about the people who I would have laid down on in protection or the people I know who have smothered me down to the ground to save me. This week I am choosing to focus on this. I am choosing to focus on the love that runs deep in my life. Deep enough that I know I would risk my life to save another and there are those who would do the same for me. This week I live in gratitude, albeit with a sore heart, as I count my life rich in relationships. No matter our circumstances or situations in life, at any season, we can always choose to be mindful of those who matter most to us. It is because we love that we grieve, but it is also because we love that we live.